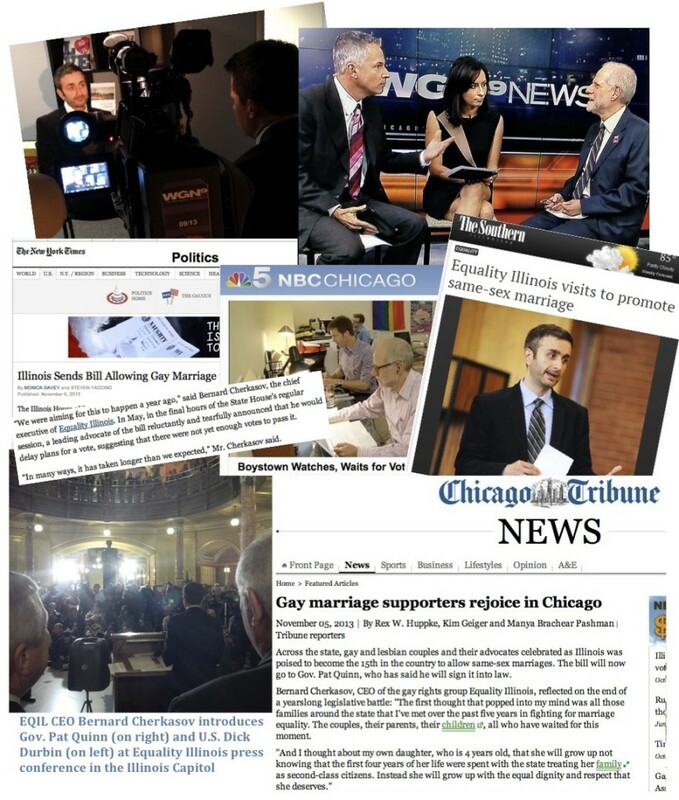 Equality Illinois stands ready to help media outlets the the story of the fight for LGBTQ equality. Please feel free to reach out to our team of experts as well as other voices and information that we can provide to add depth and detail to your stories, columns, TV and radio shows, websites and blogs. Equality Illinois is the state’s oldest and largest organization advocating for full equal rights for lesbian, gay, bisexual, transgender, queer and questioning (LGBTQ) people, with a membership of over 40,000 people and a full-time professional staff of policy experts, organizers and lobbyists and a statewide reach. Add your name or news organization to the Equality Illinois news release email list, please email our media office with your name, title, organization, telephone numbers and email address.